[02/00000006] The client could not establish a connection to the remote computer. Unable to connect to the Gateway. Please make sure there are no issue with firewalls and/or antivirus software. If from one network you cannot connect and from another you can then it is more likely to be a firewall issue. 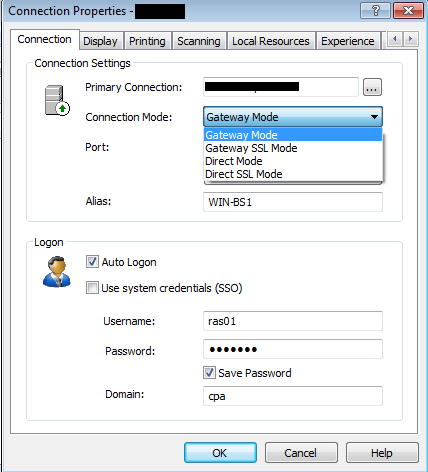 If you able to list all the application from the non working network then ensure that the connection mode is set to "Gateway", in this way all traffic will pass from port 80.